“Call to Europe V: Islam in Europe” addressed developments in society which are increasingly challenging Europe’s basic, fundamental values, such as mutual respect, tolerance, freedom of speech, equal rights between genders, the secular state and the protection of minorities. There are more than 35 million Muslims living in Europe and Islam has been part of European societies for centuries. Yet in recent years, extremists have sought to breed discontent and division. The perpetrators of some recents crimes claimed to be jihadists, acting to defend the dignity of Islam. In addition, anti-Semitism is developing among parts of Muslim communities, in particular among the younger generation. The Europe of tolerance, openness and Enlightment values is under threat as people of violence try to quench free expression and to isolate even threaten communities in Europe. Alienation, populism, xenophobia and disenchantment with our democracies have been festering for decades and reactionary right wing elements have emerged to target Muslims in particular and to create discord within European societies. Progressives in Europe took the lead in preventing reactionary forces from encroaching on the mainstream of public opinion. “Call to Europe V” looked at the variety of influences - local, foreign as well as global - at play to better understand the dynamics we face. The question of social and economic empowerment is key to the understanding of communal marginalisation. If people cannot attain a decent standard of living, it is difficult to feel part of society. Insufficient effort has been put into understanding the interplay between politics and religion and their underlying values. Divergent religious values and traditions, the secular state and the European Union’s democratic principles need to find ways to accommodate one another. 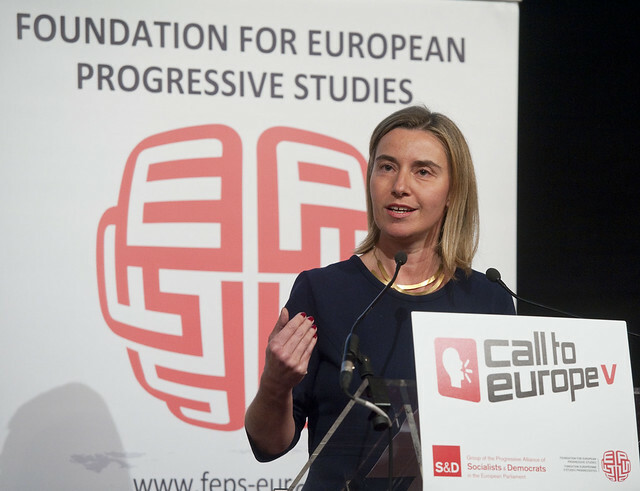 Progressives are required to seek an adequate understanding of how young people become radicalised and also look to an international level to analyse the geopolitical origins and consequences of the present wave of discontent and to find a way in which Europe can play a positive role of comprehensive understanding. what are the key policy measures and concrete actions that must be initiated to successfully address the fears of minority communities, to prevent radicalisation and to fight intolerance and discrimination, wherever it comes from?